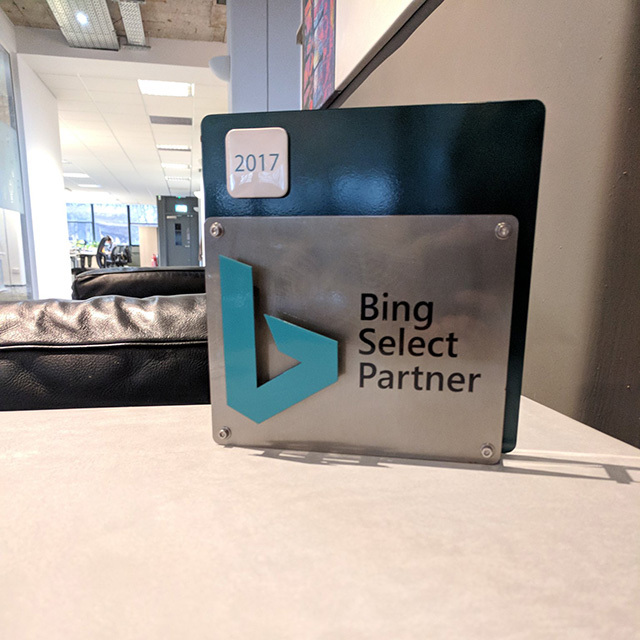 Here is a photo of a Bing advertising company showing off their new Bing Select Partner plaque. It looks substantial, don't you think? The company must sell search ads and sold enough of Bing Ads to become a select partner. With that they get this nice plaque to hang in their office. They posted this on Twitter.